Hamilton tank might be just the tank you have been waiting for – soft, flexible, seamless and good looking. The generous cut around the shoulders allows for you to move freely during your workout – regardless if you are lifting weights or running. The Hamilton tank has good breathability and a great design with knitted stripes on the sides. 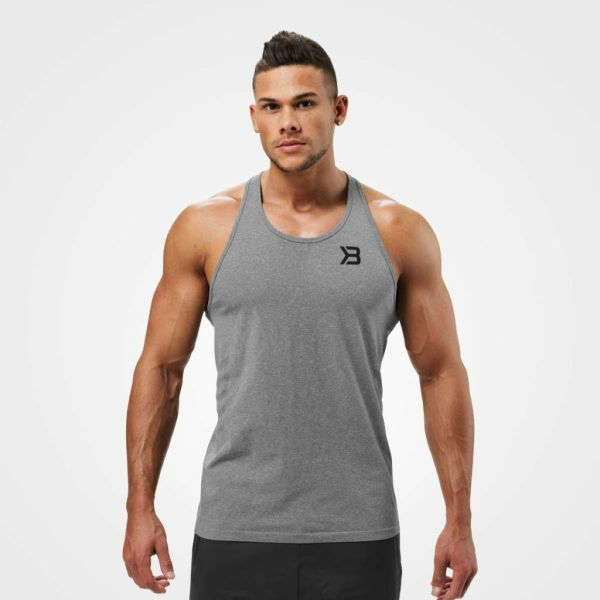 Weiterführende Links zu "Better Bodies - Hamilton Tank Top, grau"
Kundenbewertungen für "Better Bodies - Hamilton Tank Top, grau"